On November 16th,1784, University of Lviv was restored with 4 faculties. In 2018, the Danylo Halytsky is awarded as Grand Prix “Leader of International Activities” and also got a Gold Medal in the constitution of “Implementations of Innovations in the pedagogical process for improving the quality of graduates knowledge”. The council of a young scientist of university brings together scientific and pedagogical workers of a certain age category. This include graduate intern, graduates, postgraduates, clinical intern, candidates in medical sciences, assistant professor, associate professors. The total contingent of university consists of 20000 people of which 6273 are students, 1164 interns and 11593 cadets of FPI. Pedagogical and Scientific work is provided by 1421 pedagogical workers, 177 doctors of sciences, including 133 professors and 401 associate professors. Among the faculty member of the university, 2 academicians, 2 correspondent member of National Academy of Science of Ukraine, 7 winners of state prize of Ukraine in Science and Technology, 11 honored scientists and technicians of Ukraine. Faculty of post-graduation is conducted at 50 clinical departments located in 155 departments of clinical bases in the city of Lviv. Danylo Halytsky LNMU is one of the oldest medical university since 1784. So, academics have a well-organized curriculum. The university has more than 150 professors to assist research and training programs for undergraduates students. The university offers 91 PG courses for graduate students. There is no language restriction for students. One can study either in Ukrainian or in the English language. The fee structure of Danylo Halytsky LNMU is quite economical and affordable to every medical aspirant . University scientists collaborate with foreign scientists in the sphere of medicine and pharmacy. University department has participation in 12 scientific programs of the Ukrainian Ministry of Health and international organizations. The academic year starts from 1st September every year. Preparatory courses start from 1st October onwards. Step 1: Applicant has to draw an application to the Rector of University for enrollment of studies in the University. Step 2: The candidate should fill the application form including full name, permanent address, Date of Birth, citizenship, permanent address, phone number. Step 3: After getting an invitation letter, the candidate has to apply for a student visa in the Ukrainian embassy of the respective country. Step 4: The candidate must carry original copy of documents should be translated into Ukrainian language and legalized by Notary public and by the Ukrainian Embassy in your country. Step 5: Candidate has to deposit admission fees at the time of the admission process. Note: All the certificates should be translated into the Ukrainian language attested by the Ukrainian Embassy of the respective country. Foreign citizens who received state-level grants with respect to the international agreement, they can enroll to the university on the basis of documents approved by Ministry of Ukraine. Application to the name of the rector of the Danylo Halytsky Lviv National Medical University. Results of Physical examination translated into the Ukrainian language approved by the Ukrainian Embassy of your country. Age should be 17 years and above at the time of enrollment. 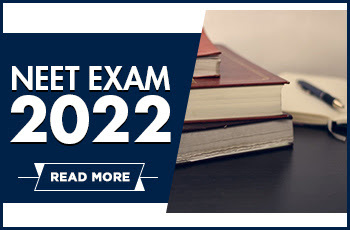 The exams like NEET, IELTS, NMAT not required. The applicants must have cleared 10+2 examination with minimum 60% of aggregate marks in Physics, Chemistry, and Biology from a recognized university. Students should mail a scanned copy of documents to the Institute. Foreign students are indebted to have valid health and accident insurance. The cost of medical insurance is 1500 UAH (around 60 US $ per year). 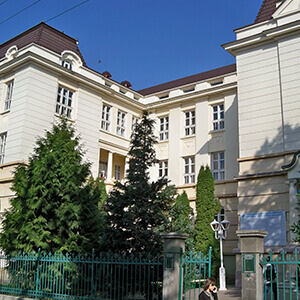 Medical faculty is one of the numerous faculties of Danylo Halytsky LNMU. In the 35 departments of the medical faculty, there are 2554 students are studying medical course. Out of which 823 are foreigners. The faculty has 500 teachers including academicians, professors, assistant professors, assistants, and senior teachers. The Dentistry faculty at Danylo Halytsky LNMU was established since 1958. The dental faculty has 10 departments out of which 13 professors,10 doctors of medical sciences, 53 associate professors, 45 assistant professors, 84 candidates of science. More than 6000 students are passed out as Dentist from Danylo Halytsky LNMU. Today, there are 1000 students studying at Dentistry faculty including 157 foreigners. The Pharmacy faculty at Danylo Halytsky LNMU was founded in 1940. The faculty of Pharmacy consists of 11 departments:Ukrainian studies, Biophysics, toxicological and analytical chemistry, Pharmaceutical, organic and bioorganic chemistry, organizations and economics of Pharmacy. The faculty of Pharmacy has received the 4th level of accreditation in which the 200 applicants are selected annually. After completion of the 5-year course, degree awarded to students as “Pharmacists”. The faculty of post-graduation was established in 1955. It consists of 3 sub-departments: Department of internships, professional development, and retraining of specialists and sell-accounting departments. The main task of faculty is to retrain the specialist by professional doctors with the efforts of providing quality education. Reading rooms, computer rooms, dining rooms, cafes are available in hostel premises. The total area of the university campus is more than 10 hectares. 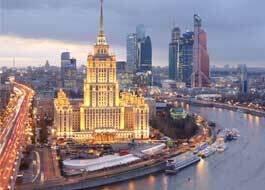 Foreign citizens who want to study MBBS in Danylo Halytsky LNMU should have to apply to the International Affair Office for the invitation to study. Candidates should have to send original documents to following email-id 'varyvoda@meduniv.lviv.ua'. After reviewing the documents, they are sent to the Ukrainian State Centre of International Education. After verification, students will get the registration number and invitation letter also. European Union Course Credits Transfer System (ECTS) was established by the commission of the European Union in order to approve the procedures of academic recognition of studies abroad. The ECTS system depends upon the mutual relationship between higher education institutions. ECTS system makes the study programme flexible and readable for both local and foreign students. ECTS has developed the accumulation system at Institutional, national, regional and European level. ECTS helps the universities to revise their academic study programmes. ECTS facilitates academic recognition of universities at international level. Use of ECTS credits (to indicate students workload). Being rector of Danylo Halytsky LNMU, It’s great pleasure to welcome you to the university. Danylo Halytsky LNMU is proud to offer medical, dental, pharmaceutical and postgraduate education programs. The university offers a genuine and healthy environment to forecast human values and quality learning. Modern individual electronic communications, new computerized technology, the newly introduced course of studies in the English language, a significant number of high level international academic conferences, participation with other universities in creating sophisticated programs of medical studies- this is a modern image for our university. Our nation has touched the practical era of medical education. We have always endeavored to stand with ongoing medical programs, research projects in the field of medical education. I assure you will feel at home here and your choice of selecting Danylo Halytsky LNMU is the right decision. Studying at Danylo Halytsky LNMU is more prominent for medical students who want to pursue MBBS education. It is a unique experience of living in the university campus, as it has a unique culture and traditions. About 2748 students are studying at 38 departments out of which 484 are foreigners. The university has a huge library with 5,30,000 volumes of textbooks, manuals, and relevant medical literature. Lviv (Lvov, Lwow) – considered as the most excellent urban areas in Europe, in which past and present-day age are skilfully weaved. 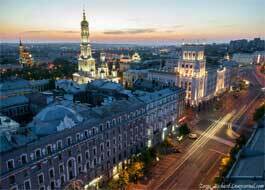 Lviv City as a pearl of Europe and the capital of Halychyna have effectively stayed unblemished all through seven ages, protecting its chronicled environment and old engineering. Lviv – the city of old churches and houses of worship, demonstrable landmarks, and current structures. Due to the fast economic development, Lviv (Lvov, Lwow) is additionally popular for its all-around created amusement structure, spoke to by recreational regions and administrations like move clubs, casinos, Kino palaces, solariums, wellness clubs, bars in the focal parts of our city and its rural areas. Annual rainfall: An average of 66 cloudy days per year with 26 inches. The country observes daylight saving time from the first Sunday in April to the last Sunday in October by advancing the clocks one hour.